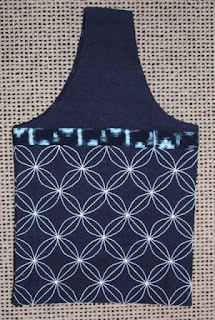 Wellington Quilters Guild has asked me to teach a Sashiko class and a machine quilting class at their winter solstice quilting weekend in June. I am ashamed to say that my website is now so out of date that those classes aren't even on it. My husband constructed my website so long ago that we have long forgotten how to change anything and it wasn't ever at all easy. 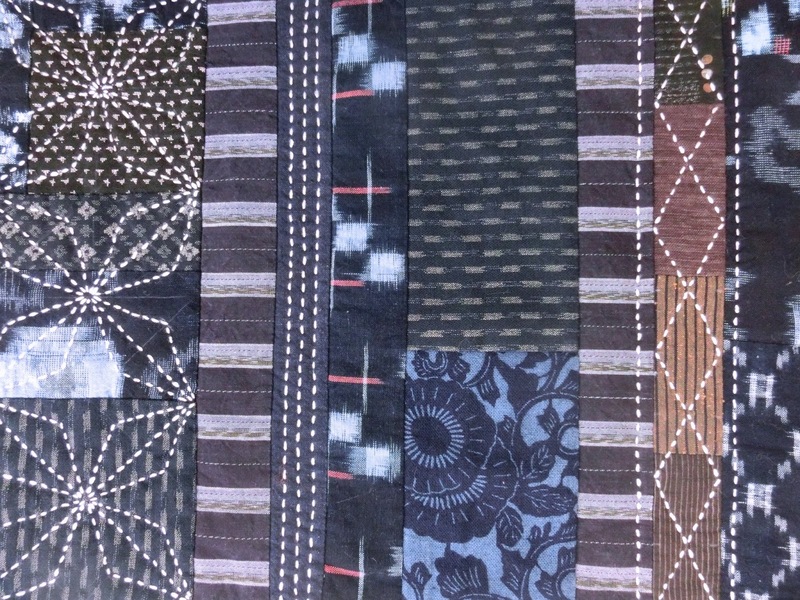 I was one of the first quilters in New Zealand to get a website but now I'm one of the people with the most out of date website in New Zealand. 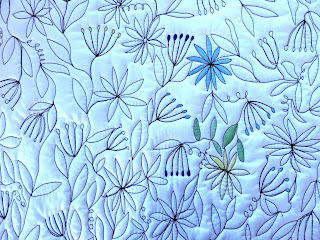 Here is the information for the Wellington Quilt Guild classes. 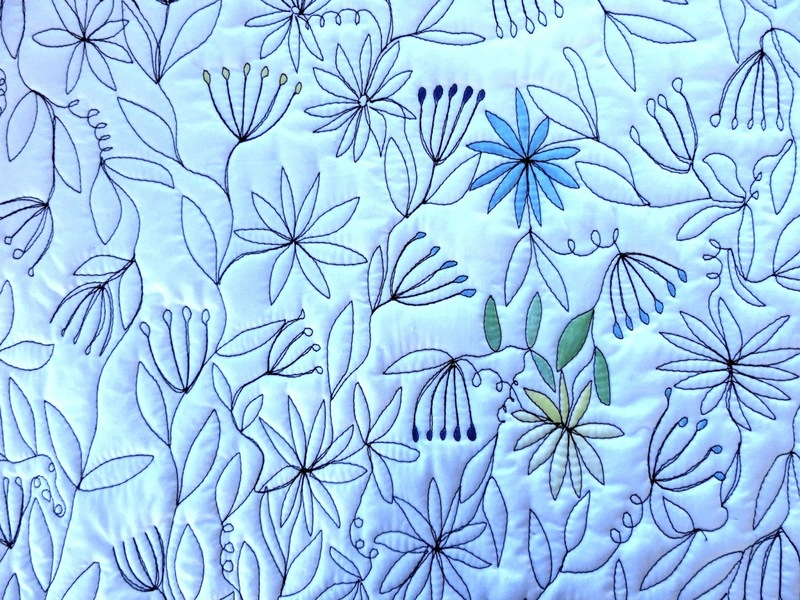 Spend a day honing your machine quilting skills by doodling using the sewing machine then colour in your patterns using fabric markers. Colouring-in is optional! 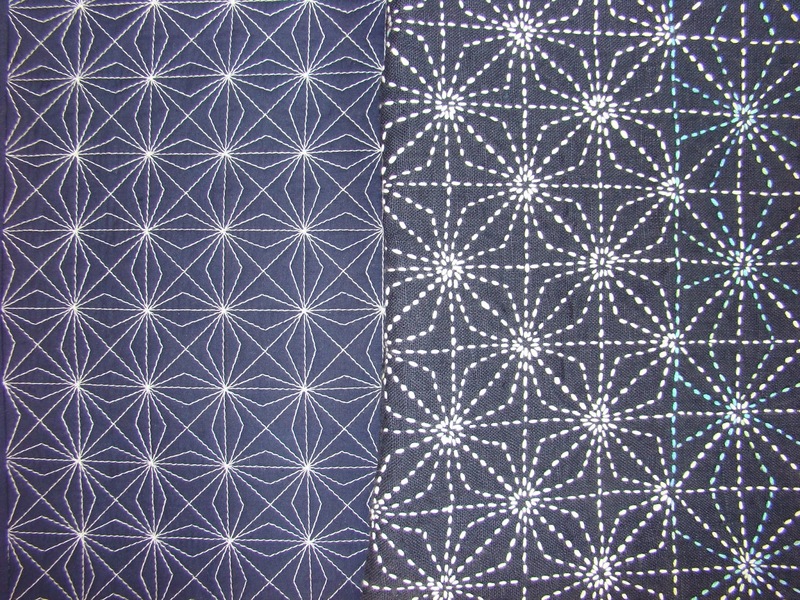 Sashiko is a traditional Japanese way of patching and strengthening old fabrics using running stitch in decorative patterns. 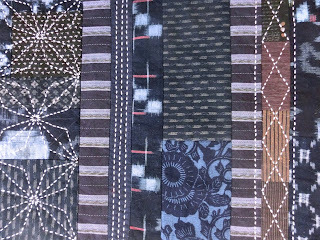 In this class students will look at photographic examples of Japanese boro (patched) textiles as well as examples of more modern styles of sashiko stitching. 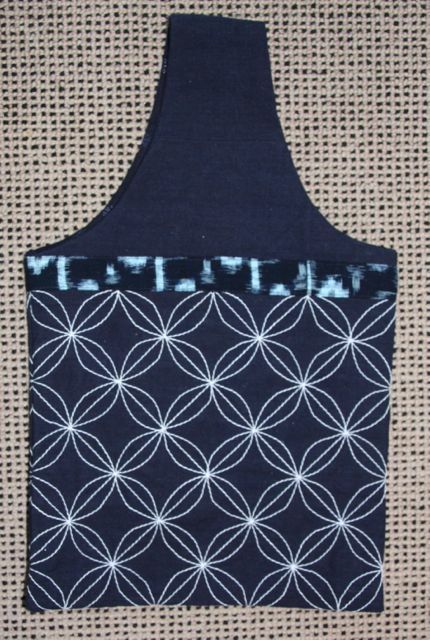 Students will then learn how to mark out a grid on fabric and then stitch Japanese Sashiko patterns either by hand or by machine. 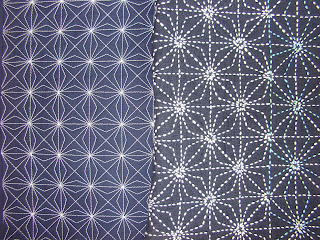 Sashiko is traditionally done using cream or white thread on a navy (indigo) background but students are encouraged to try different colour combinations or create their own stitching patterns for a different look.